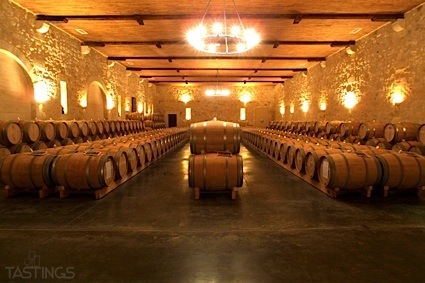 Bottom Line: A concentrated, steak-worthy wine with lots of stately character. 88 • Chocalan 2015 Reserva, Sauvignon Blanc, Maipo Valley 13.5% (Chile) $12.00. 87 • Chocalan 2016 Reserva, Chardonnay, Maipo Valley 13.5% (Chile) $12.00. 87 • Chocalan 2014 Reserva, Merlot, Maipo Valley 14% (Chile) $12.00. 87 • Chocalan 2014 Reserva, Carmenère, Maipo Valley 14% (Chile) $12.00. 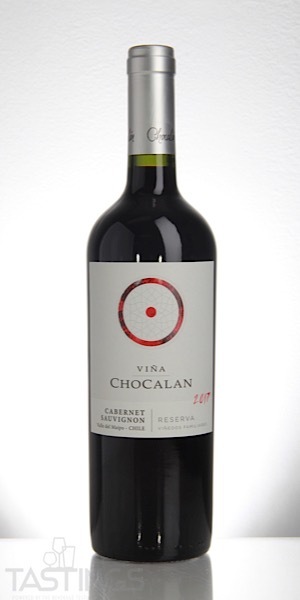 90 • Chocalan 2014 Reserva, Cabernet Sauvignon, Maipo Valley 14.5% (Chile) $12.00. 83 • Chocalan 2015 "Origen" Gran Reserva, Pinot Noir, Maipo Valley (Chile) $16.00. 88 • Chocalan 2014 "Origen" Gran Reserva, Syrah, Maipo Valley 14.5% (Chile) $16.00. 86 • Chocalan 2014 "Origen" Gran Reserva, Carmenère, Maipo Valley 14.5% (Chile) $16.00. 88 • Chocalan 2014 "Origen" Gran Reserva, Cabernet Sauvignon, Maipo Valley 14% (Chile) $16.00. 95 • Chocalan 2013 "Vitrum", Malbec, Maipo Valley 14.5% (Chile) $29.00. 93 • Chocalan 2013 "Vitrum" Red Blend, Maipo Valley 14% (Chile) $29.00. 94 • Chocalan 2011 "Alexia" Red Blend, Maipo Valley 14.5% (Chile) $57.00. 86 • Chocalan 2018 Reserva, Sauvignon Blanc, Maipo Valley 13.5% (Chile) $13.00. 87 • Chocalan 2018 Reserva, Chardonnay, Maipo Valley 13.5% (Chile) $13.00. 87 • Chocalan 2017 Reserva, Carmenère, Maipo Valley 14% (Chile) $13.00. 91 • Chocalan 2017 Reserva, Cabernet Sauvignon, Maipo Valley 14% (Chile) $13.00. 90 • Chocalan 2018 Origen Gran Reserva, Sauvignon Blanc, San Antonio 13.5% (Chile) $18.00. 84 • Chocalan 2017 Origen Gran Reserva, Chardonnay, San Antonio 13.5% (Chile) $18.00. 83 • Chocalan 2017 Origen Gran Reserva, Pinot Noir, San Antonio 14% (Chile) $18.00. 88 • Chocalan 2017 Origen Gran Reserva, Carmenère, Maipo Valley 14% (Chile) $18.00. 89 • Chocalan 2017 Origen Gran Reserva, Syrah, Maipo Valley 14.5% (Chile) $18.00. 93 • Chocalan 2016 Origen Gran Reserva, Cabernet Sauvignon, Maipo Valley 14% (Chile) $18.00. 89 • Chocalan 2015 Vitrum Premium Red Blend, Maipo Valley 14.5% (Chile) $27.00. 87 • Chocalan 2014 Alexia Icon Red Blend, Maipo Valley 14% (Chile) $65.00. Chocalan 2017 Reserva, Cabernet Sauvignon, Maipo Valley rating was calculated by tastings.com to be 91 points out of 100 on 11/14/2018. Please note that MSRP may have changed since the date of our review.